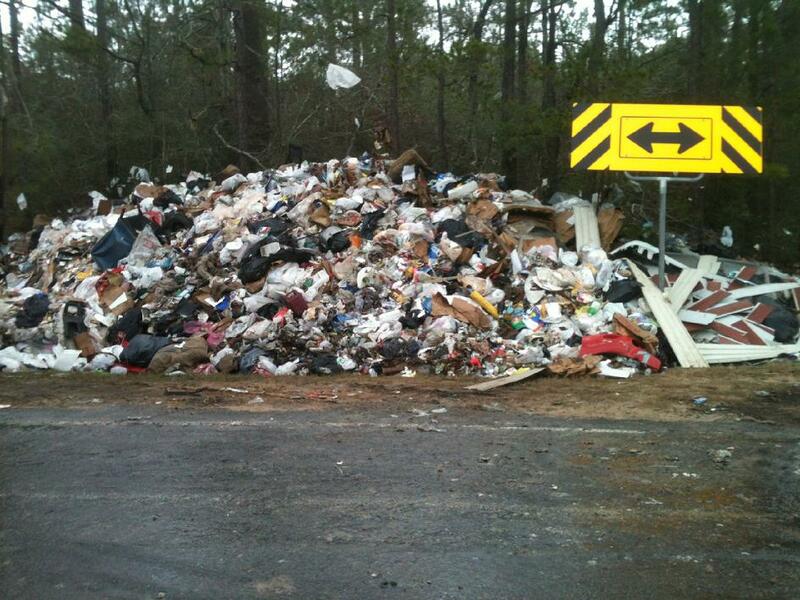 41 year old Timothy Burns of Jasper lost a large load to trash when he slid out of control on FM-2500 at FM-942. 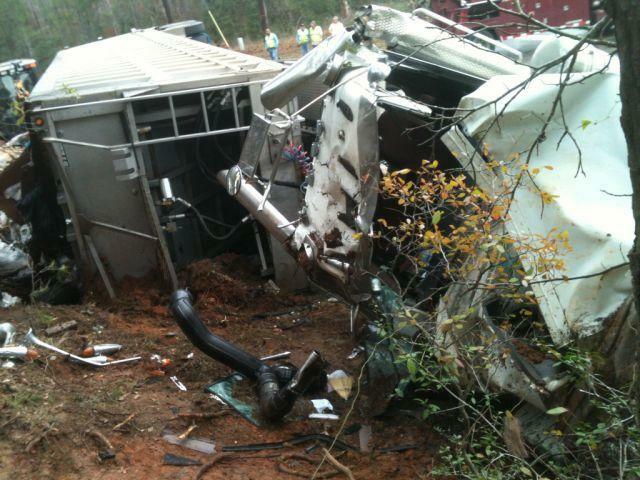 Unsafe Speed, Foggy Conditions and Wet Road Contribute to 18 Wheeler Crash, LEGGETT, February 1, 2012 - At approximately 6:15 am on February 1, 2012, an 18 wheeler tractor/trailer driven by Timothy Tyrone Burns, 41, of Jasper, was north-bound on FM-2500. As Burns approached the intersection of 942 he was coming at an unsafe speed for the foggy and slick road conditions. Burns lost control of his rig and it turned over sliding off the road and into a ditch on FM-942. Americare Ambulance Service was dispatched to the scene along with the Livingston Volunteer Fire Department Heavy Rescue Unit and Trooper Ramey Bass with the Texas Highway Patrol. Burns was rushed to Livingston Memorial Hospital with incapacitating injuries. According to Trooper Bass, Burns was cited for unsafe speed. 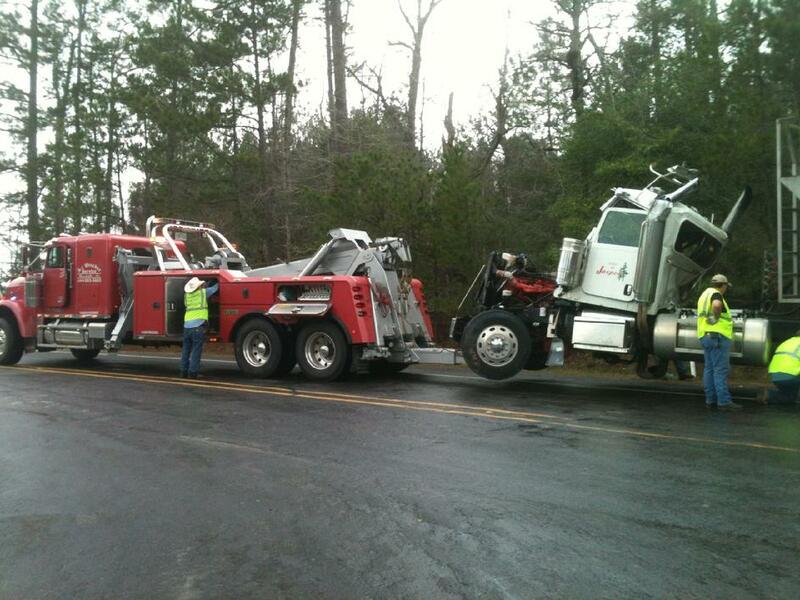 Burns' rig was recovered by A1 Wrecker Service and stored in Woodville. The mess took over 8 hours to clean up. 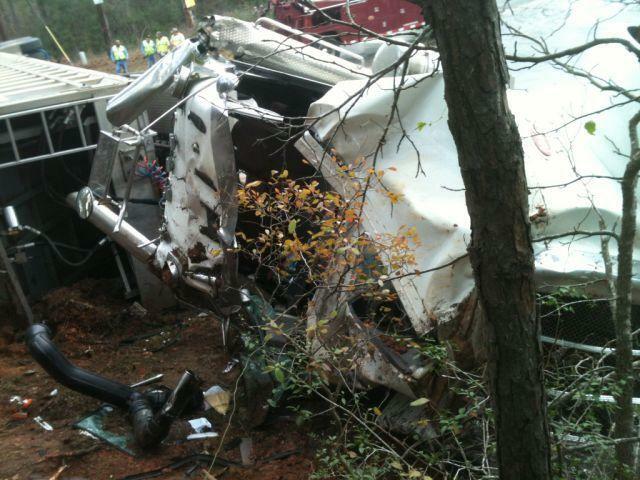 Burns' 2011 Peterbilt lies totaled in a ditch off FM-942. 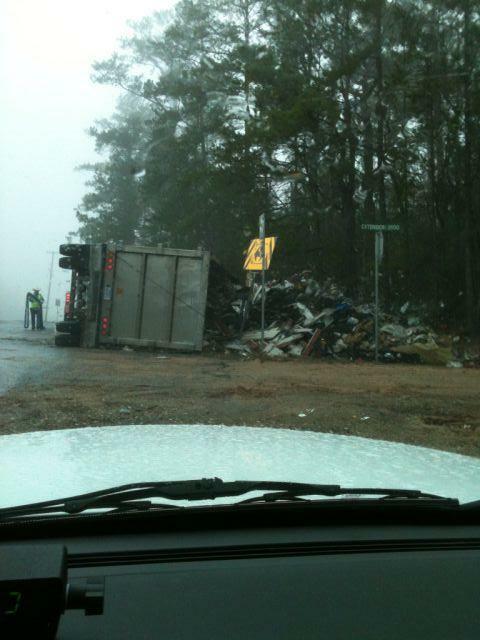 Burns was hauling a huge load of garbage when his rig turned over spilling its contents. 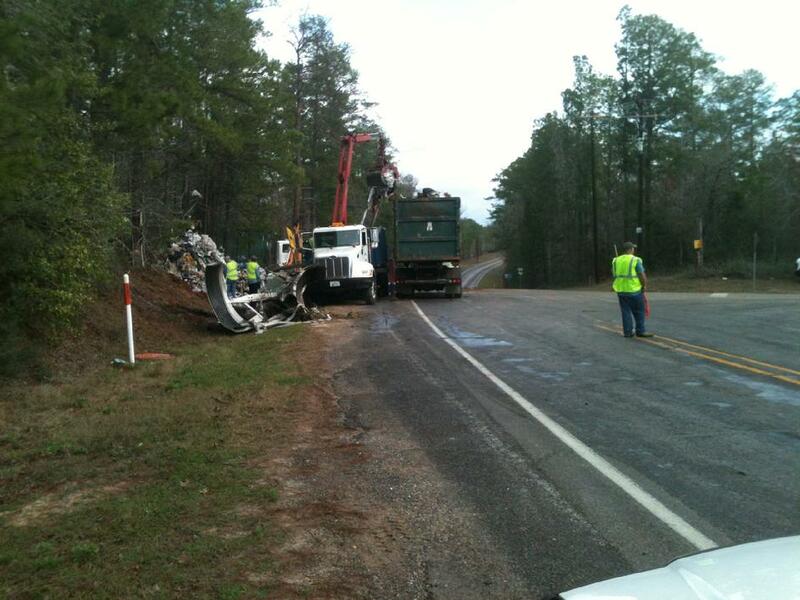 Burns' rig was recovered by A1 Wrecker Service and transported to Woodville. Another rig was brought in with heavy equipment to clean up the mess.